MORE THAN SIX YEARS after the signing of a controversial Economic Partnership Agreement (EPA) between the European Union (EU) and CARIFORUM, Barbados and other participating countries are “struggling” to make it work. 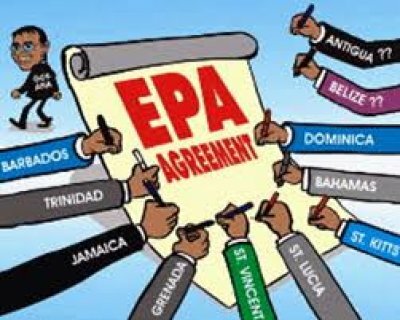 A five-year review of the EPA’s “costs and consequences of implementation” found that the “active take-up of regulatory and market challenges and opportunities in both the Caribbean and the EU” has failed. And according to the Monitoring The Implementation And Results of the CARIFORUM-EU EPA Agreement report, produced by a team led by Caribbean trade economist Dr Ranji H. Singh, there were a number of “shortfalls” that “arguably require priority attention”. While acknowledging that both the EU and CARIFORUM countries were affected by economic problems since signing the EPA in 2008, the study found that “even in large markets and companies, despite a number of awareness-raising initiatives by EU and CARIFORUM bodies, there is a surprising lack of knowledge about the opportunities afforded by the agreement, and in some quarters, lingering concerns about its potential impact”. The priority areas the report said needed attention included renewed efforts to widen compliance with the agreement’s provisions on tariff reduction, based on a speedy resolution of differences; renewed and detailed discussion strengthening market access in services; a widening and strengthening of efforts to negotiate agreements on mutual recognition; more effort to activate the provisions of the Protocol On Cultural Cooperation; and continued and stronger support to CARIFORUM services suppliers, particularly in the tourism sector.